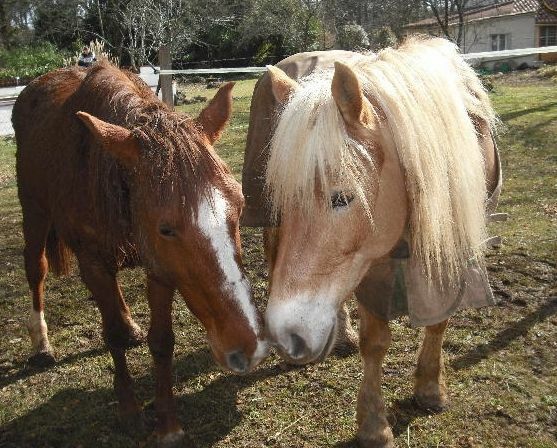 Sometimes we are asked to take on and rehome equines, that often for health reasons or their age, are too vunerable to be advertised for sale by the owners. Belle is one of those ponies who had some physical difficulties, probably as the result of being used as a broodmare in the past, and could therefore only be used as a companion in the future. We are fortunate to have some excellent people approach us to be future adopters, people that are prepared to take on equines that most others would turn their backs on. We are now extremly pleased to say that Belle has settled in well as companion to new adopter Vicki’s horse Whiz and we wish them all the very best for a happy future together.